The Trades are delighted to welcome the legendary SOFT MACHINE to the club. 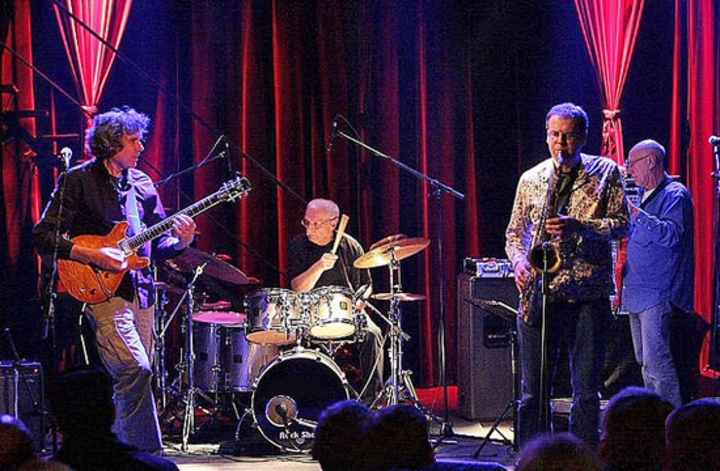 The band features John Etheridge on guitar, Roy Babbington on bass, John Marshall on drums and Theo Travos on sax, flute and keyboards. So… three quarters of the celebrated 70s version of the group which recorded the acclaimed Softs album in 1975. Soft Machine will be playing material from the era – compositions by Hugh Hopper, Mike Ratledge and Karl Jenkins – as well as other pieces composed by John Etheridge, Theo Travis plus some band improvisations. 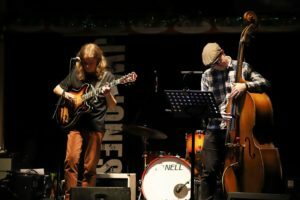 With a sound rooted in the haze of the English folk revival, Henry Parker takes up a style crafted by players such as Bert Jansch and Nick Drake in the 1960’s and early 70’s. His open tuned acoustic calls to mind the label ‘Folk-Baroque’, a term once used to describe all those who followed in the footsteps of the great originator Davy Graham. His songs and tunes arrive either worked from his own hand, or are borrowed and developed from the traditional British folk cannon. This recent collaboration with Double bass player Augustin Bousfield allows for stronger groove, wider tonal range and more complex harmony derived from a shared love of Jazz. The pair have both performed on stage and in the studio, producing a cassette single together and a live mini-album in 2017.